Magnolia Inn | Historic Jacksonville, Inc.
Jacksonville’s Magnolia Inn at 245 North 5th Street was built in the early 1900s as Mitchell’s Sanitarium, a sanitarium and health spa. This was part of the “Wellville” movement pioneered by the Kellogg brothers, creators of Kellogg’s Corn Flakes. 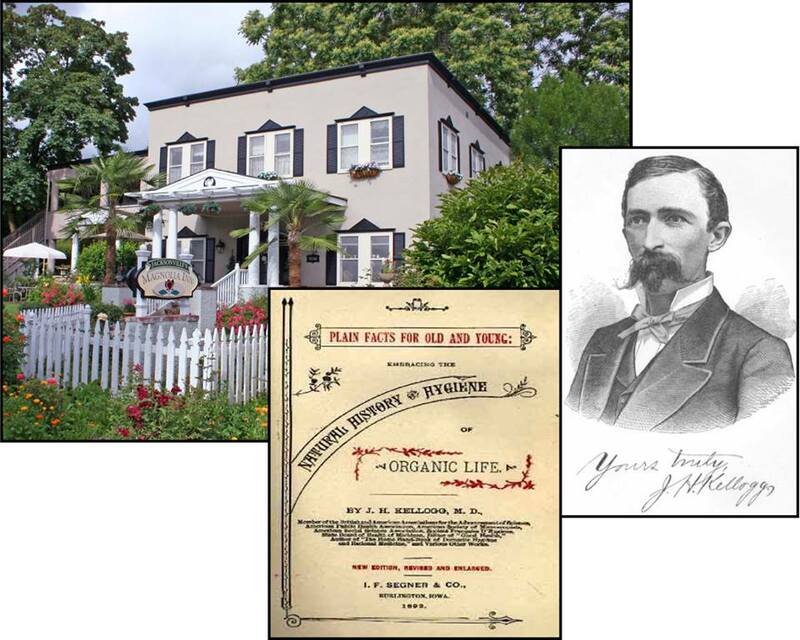 This approach to medicine advocated holistic treatments and vegetarianism, and such sanitariums typically focused on nutrition, enemas, and exercise.